Oxford is poised to introduce the world’s first zero-emissions zone. To this end, petroleum- and diesel-fueled vehicles will be prohibited in the city’s center. The goal is to decrease air pollution in the city. Several zones within the city have seen a spike of nitrogen dioxide pollutants that have exceeded the legal limit. Last year, Oxford was one of 11 British cities that had dangerously high PM10 and PM2.5 levels, according to the World Health Organization. The zero-emissions zone plan will be implemented gradually. Starting in 2020, diesel and petroleum-fueled taxis, buses, and light commercial vehicles will be prohibited from using certain streets. The next phase of the plan will involve a more comprehensive ban, which will usher in the zero-emissions zone in its entirety. According to the Oxford City Council and Oxfordshire County Council, the implementation of this zone could result in a 75% decrease in nitrogen dioxide levels by 2035. Oxford isn’t the only European city to step up its “clean air” policy game, however. Oslo and Madrid are also advocating for a city-wide reform on vehicle emissions. Oslo temporarily considered prohibiting personal autos from the city. Back in 2016, Madrid’s city council ordered 50% of the city’s vehicles to be banned. 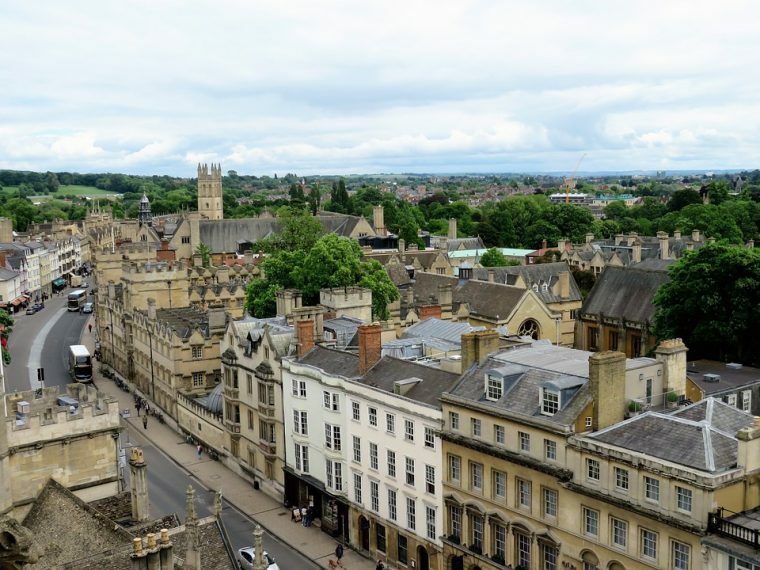 We await more details about Oxford’s zero-emissions zone, which promises to set an earth-friendly example that could help trigger stricter “clean air” policies around the globe.